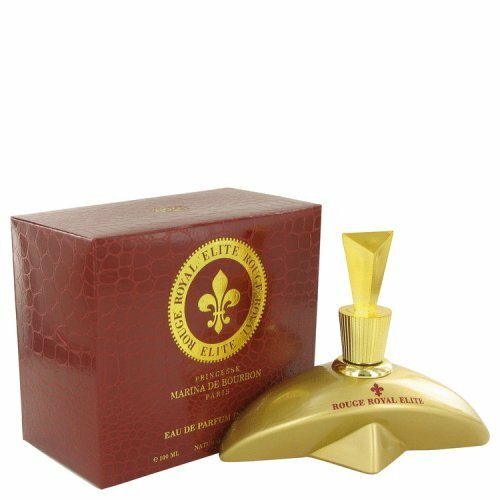 Released as a limited edition fragrance by the house of Marine De Bourbon in 2011, Rouge Royal Elite is a sophisticated and rich scent with a sensual, empowering presence. Ideal for the powerful, feminine and cultured woman, Rouge Royal Elite combines fresh floral notes with fruity and woody tones. Opening top notes combine sweet black current and raspberry with wild strawberry, while middle notes include rich floral tones of rose, ylang-ylang and Indian jasmine. Intense base notes are made up of vanilla, sandalwood, vetiver, amber and patchouli for a warm and inviting allure.